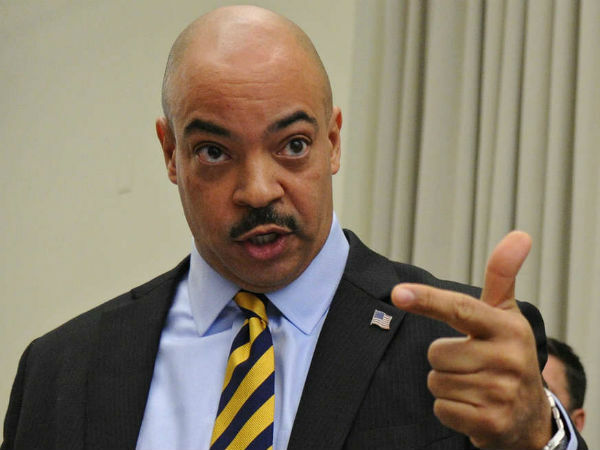 Five of the "rogue" cops who won their jobs back, as well as their supervisor, have filed a defamation and false light suit against District Attorney R. Seth Williams, Police Commissioner Charles H. Ramsey, and Mayor Michael A. Nutter. Nutter in the rogue cops case, according to an amended complaint filed July 24th in U.S. District Court by Philadelphia lawyer Christopher D. Mannix. The lawsuit, the most entertaining court file I've read in years, has been ignored so far by the Inquirer, and confined to just four paragraphs near the bottom of a 34-paragaph story in today's Daily News about the sentencing of Jeffrey Walker, the government's star witness. But the defamation lawsuit for the first time tells the back story behind the rogue cops case only whispered about at trial -- a petty turf battle between law enforcement agencies allegedly feuding over drug forfeiture money and credit for drug busts. It was a feud supposedly set off by the blunt personality of Officer Thomas Liciardello, the former leader of the Narcotics Field Unit. The amended complaint also shines an unflattering spotlight on the inner workings of the Philadelphia District Attorney's Office its dealings with the media, especially a cozy relationship with Fox 29. The amended complaint traces the origin of the defamation to a Dec. 3, 2012 letter sent by D.A. Williams to Police Commissioner Ramsey. In the letter, the D.A. stated he would no longer prosecute any cases filed by any of the six plaintiffs in the defamation suit. "D.A. 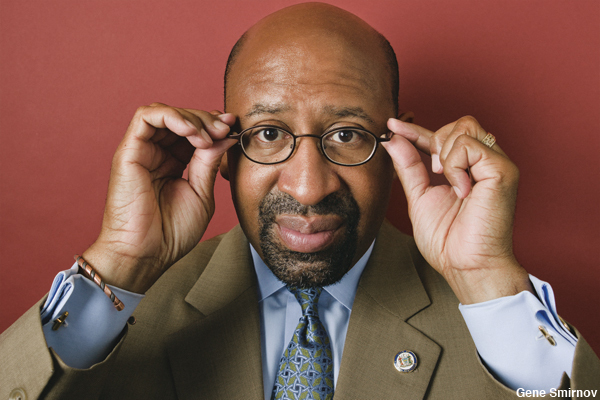 Williams' entirely misbegotten and irresponsible letter started a gigantic, destructive avalanche of severe and permanent wrongs, damages and injustices, inflicted not only upon the Plaintiffs but upon all Philadelphia citizens who count on the fundamental purpose of government -- public safety and order through the criminal justice system," attorney Mannix wrote in his amended complaint. On July 29, 2014, the five cops who are plaintiffs in the defamation suit -- Officers Michael Spicer, Brian Reynolds, Perry Betts, John Speiser and Thomas Liciardello -- were indicted by the U.S. Attorney's office. On May 14, 2015, the defendants were found not guilty by the jury on all 47 counts in the RICO indictment. [The sixth defendant in the rogue cops case, Linwood Norman, also found not guilty, was not mentioned in the district attorney's letter and is not a plaintiff in the defamation suit]. At the criminal trial of the rogue cops, the criminal case presented by prosecutors to the jury was "literally laughable, and disgraceful -- as to the prosecutors," Mannix wrote. In addition to the five rogue cops, the sixth plaintiff in the defamation case is Lt. Robert G. Otto, former supervisor of the Narcotics Field Unit. When Williams sent his 2012 letter to Ramsey, "Plaintiff Otto was an extremely effective, skilled, dedicated, hard-working, honest and experienced Police Lieutenant," the amended complaint said. Meanwhile, Officers Spicer, Reynolds, Betts, Speiser and Liciardello "were all extremely effective, skilled, dedicated, hard-working, experienced police officers," the lawsuit states. "The Plaintiffs are authoritatively considered to have constituted the most accomplished and effective narcotics unit in the history of the Philadelphia Police Department," the complaint states. "The public service, efforts, courage, unflagging energy and dedication exhibited by the Plaintiffs could be fairly characterized as heroic." "I am writing to inform you that in an exercise of prosecutorial discretion, the Philadelphia District Attorney's Office will no longer be using the following officers as witnesses in narcotics cases," the district attorney wrote. The D.A. then listed the names of Officers Liciardello, Reynolds, Speiser, Spicer and Betts; and Lt. Otto. 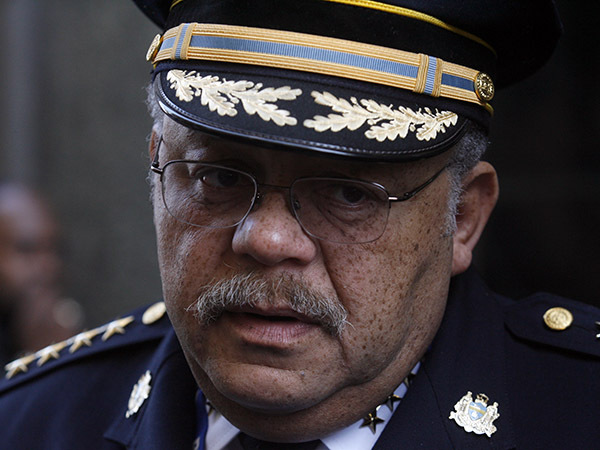 "Also the Philadelphia District Attorney's Office will no longer accept any narcotics cases for charging when any of these police officers is a necessary witness," Williams wrote. "Finally, we will no longer approve any search or arrest warrants on narcotics cases when any of these officers is the affiant, nor if the probable cause portion of the warrant contains any averments from any of these officers." R. Seth Williams, District Attorney." That letter, which basically put the five narcs and their boss out of the law enforcement business without any kind of due process, "was written in bad faith and recklessly," the complaint states. "There was no legitimate reason or colorable basis whatsoever for D.A. Williams to promulgate a policy and practice of not using the Plaintiffs as witnesses or affiants, and no such basis to promulgate a policy and practice of not using any averments of the Plaintiffs," the lawsuit states. "To the contrary, such a policy and practice was utterly reckless and irresponsible." The letter sent by Williams was "clearly and deliberately intended to -- and did -- state and create the false statement and impression that the Plaintiffs were neither credible nor honest, including under oath," the complaint states. It describes the "credibility and honesty of police officers" as the "sine qua non' of the profession," -- Latin for something absolutely needed. The Williams letter to Ramsey was written "in bad faith and with deliberate indifference to, and reckless disregard for, the liberty interests and the reputational interests of the Plaintiffs," the complaint states. It also exhibited an "irresponsible disregard for the truth." The lawsuit charges that during the week of Nov. 26, 2012, D.A. Williams met with Commissioner Ramsey and "demanded that the Commissioner remove the Plaintiffs from Narcotics." "Commissioner Ramsey, not knowing or even being then informed of any legitimate reason for such a demand, then rightly resisted D.A. Williams' request,' " the complaints states. The commissioner asked Williams to put his request in writing. Ramsey's "then-principled stand forced the birth of the letter that started the avalanche of injustices," the complaint states. The D.A. 's request, the lawsuit said, was "motivated by petty or non-pertinent, bureaucratic, administrative and political conflicts (between the D.A. 's Office and the Police Department), personality conflicts (between Plaintiffs and persons in the D.A. 's office), and resentments (of the Plaintiffs by persons in the D.A. 's Office)." The conflicts, the lawsuit said, "arose out of the D.A. Office's desire to receive more credit for narcotics successes and receive a greater share of seized and forfeited drug money." The "conflicts and resentments arose out of the very blunt, speak-his-mind, get-things-done, personality of Plaintiff Liciardello," Mannix wrote. "Incredibly, these petty and often wrong-headheaded bureaucratic, administrative, 'political' and personality conflicts, and the aforesaid resentments, are behind D.A. Williams' request to the Commissioner that the Plaintiffs be transferred," the complaint states. "Out of that pettiness and wrongheadedness, the letter was created and an avalanche of destruction began." The lawsuit states that when the D.A. 's letter was delivered to Rasmey, "both the Commissioner and the District Attorney knew there was no legitimate evidence against the Plaintiffs' honesty and credibility." But both the Police Commissioner and the D.A. "acting as policy makers, irresponsibly and recklessly acted, represented and promulgated policies and uttered statements that were premised on the falsehood that the honesty and credibility of the Plaintifs could be legitimately attacked," the lawsuit states, "when there was zero legitimate evidence for that premise." The amended complaint say that on Dec. 2, 2012, First Assistant District Attorney Edward McCann, the second-highest ranking official in the D.A's office, "instructed Director of Communications/Spokesperson [Tasha] Jamerson on how to handle media inquiries about the letter." Jamerson, a former defendant in the suit when it was first filed in Philadelphia Common Pleas Court on Nov. 21, 2013, had her deposition taken on Jan. 10, 2014. According to the lawsuit, McCann "instructed Jamerson that she had authority to communicate to the press that the D.A. 's office would no longer be using the six Plaintiffs in narcotics cases because of prosecutorial discretion." Five days later, Jamerson was telling the media that the D.A. 's office would no longer be prosecuting the narcs' cases, the complaint states. The decision to publicize the D.A. 's letter to Ramsey was "explicitly authorized" by the superiors in her office and was "made and carried out in bad faith and with deliberate indifference to, and reckless disregard for, the liberty, interests and the reputational interests of the Plaintiffs," the complaint states. On Dec. 4, 2012, Ramsey ordered the six plaintiffs transferred out of the narcotics field unit to other assignments. "If Commissioner Ramsey, whose very public persona is as a fierce advocate of the integrity, honesty and ethics of his Department and its officers, believed for a minute there was any basis for D.A. Willliams' letter, he would have taken those putatively untrustworthy officers off the street and confiscated their weapons," Mannix wrote. By Dec. 5, 2012, the district attorney's letter was in the hands of the managing editor of Fox 29, also the husband of Tasha Jamerson, herself a former TV reporter for Fox, the complaint states. The next day, the complaint states, Fox 29 broadcast a report naming all six plaintiffs "stating, among other defamatory and false light statements, that they had been moved out of the Narcotics unit, CREDIBILITY QUESTIONED." After the Fox 29 broadcast, "an avalanche of publicity unfairly blackening the reputations of the Plaintiffs followed, some by Defendants, some by the media," the complaint states. The Williams letter to Ramsey, publicized by the media, "stigmatized and humiliated the Plaintiffs; impugned, blackened and utterly disparaged their professional and personal reputations; put the Plaintiffs in highly offensive false light; created false impressions about the Plaintiffs, including of their honestly, credibility, morality and ethics, and caused members of the Department, the public and the law enforcement, judicial and legal communities, and prospective employers to scorn and revile them, all to their great detriment," contrary to "their emotional, reputational, and pecuniary and liberty interests," according to the complaint. After she gave the letter to Fox, D.A. Spokesperson Jamerson "continued to recklessly publicize and disseminate the content and substance of D.A. Williams Dec. 3, 2012 letter," the complaint states. The D.A. "began withdrawing drug cases based on the putative lack of credibility of the Plaintiffs," the complaint states. "Criminals began to walk free, and the Plaintiffs now became the substituted 'criminal' targets of very public scorn," Mannix wrote. "Within a week of the start of the irresponsible, wholesale dismissal and withdrawal of drug cases, Philadelphia Court of Common Pleas President Judge Pamela Pryor Dembe was approving of D.A. Williams' actions, telling the press that 'This certainly is the right thing to do,' " the lawsuit states. "Actually, D.A. Williams has triggered a process that ceded to criminals the power of dismissal of their own cases," the complaint states. "Eventually, hundreds of cases were dismissed or withdrawn, and the public scorn of the Plaintiffs grew." "On Jan. 17, 2014, Commissioner Ramsey outrageously and recklessly and gratuitously publicized to the media that a federal grand jury was probing at least four of the Plaintiffs herein," the lawsuit states. "On that day, Commissioner Ramsey further and recklessly publicized to the media that the six Plaintiffs had been pulled off street duty. Commissioner Ramsey's spokesperson then publicized to the media that the six Plaintiffs were required to surrender their weapons." On July 31, 2014, "Commissioner Ramsey and Mayor Nutter held a joint, televised press conference in which they irresponsibly grandstanded at the great expense of the completely innocent indicted Plaintiffs," the lawsuit states. At the joint press conference, "Mayor Nutter called the aforesaid Plaintiffs 'sick scumbags,' " the complaint states. At the joint press conference, Ramsey topped the mayor by telling the press, "I have been a police officer for more than 40 years and this is one of the worst corruption cases that I have ever heard." Ramsey stated to reporters that he would destroy the officers' badges. "The Commissioner and the Mayor were in fact wrongfully destroying the reputations and lives and liberty interests of the officers," Mannix wrote. "As to the badges -- they all got them back after the case against them was shown to be literally laughable." The federal prosecution "revealed and shocking and complete lack of credible evidence, and shoddy and reprehensible work by prosecutors and investigators," the complaint states. "The witnesses against the criminal defendants were criminals and perjurers. For some reason, the United Staes Attorney could not figure out before Indictment and trial things like an officer was out of state on vacation when the drug dealers said he was committing crimes on duty in Philadelphia." "The hysteria created by D.A. Williams' letter and Commisioner Ramsey's imprimatur thereon was jumped on by everyone -- the media, the public, criminals, lawyers for criminals, the Mayor, and the United States Attorney for the Eastern District of Pennsylvania," the complaint states. Following their acquittal on all charges, on July 10, 2015, the defendants "were reinstated to their jobs with back pay," the complaint states. "Neither the Mayor nor the Commissioner nor the District Attorney have apologized to any of the Plaintiffs. The profound repetitional damage they inflicted on the Plaintiffs can never be repaired." That damage was done even though there was "never a scintilla of evidence" for D.A. Williams to attack "the credibility and honesty of the Plaintiffs, nor was there ever a scintilla of evidence of the 'piling on;" the complaint states. Along with the "grandstanding statements and acts and policies of the mayor and the Commissioner thereafter," the complaint states. The media "served as a completely effective and efficient outlet and mechanism" for spreading the "defamatory, false light and otherwise wrongful statements and acts" of the D.A. Commissioner and Mayor," the complaint states. The subsequent "avalanche of events" irresponsibly started by D.A. Williams, and propagated, fueled and happily ridden on by all the defendants, also included the filing of dozens of civil rights lawsuits against Plaintiffs by criminals only too happy to ride on D.A. Williams' letter," Mannix wrote. 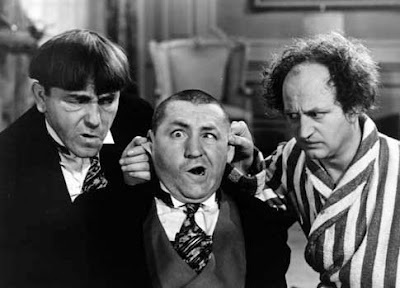 The official reaction to the cops' defamation lawsuit was silence. For the third time this week, Cameron Kline, the new spokesperson for D.A. Williams, did not respond to requests for comment; neither did a spokesperson for Mayor Nutter. A spokesperson for Police Commissioner Ramsey said that the city's law department will address the defamation suit in court. "As with all lawsuits, people have a right to file them and there is a process to address the issue surrounding the suit," the spokesperson said. This is the best news I have heard since the innocent of all charges verdict .Politicians and the media are used as pawns by federal prosecutors to incriminate a defendant before they ever get to trial, no person in the public arena should offer an opinion one way or the other. Let the prosecutors fight the trial in court , not in the public eye. Condemning anyone in the media taints the jury pool, adding to the already unfair advantage the prosecutors have over defendants. When the media gets a call of an impending raid on a defendant from the prosecutors office, they should think twice about showing up. Leveling the playing field would benefit the judicial system. Another idea would be allotting as much print space as the local media gave to the announcement by the Judicial Department and the FBI on the bombshell revelation regarding hair analysis, it stated testimony given at trial for two decades showed that 96 % of all evidence was flawed, sending thousand to prison and others to their deaths. Five sentences was all the appeared in print, the story ran at a most inconvenient time , during the police narcotics trial, running a larger piece may have led a thinking to consider that mistake are made by the FBI and prosecutors, intentionally and possibly unintentionally. When offered details of an indictment from prosecutors, it should be paired down to the same size blurb as the hair analysis story, with a disclaimer that these are not the views of the paper but the prosecutors only. Holding facts up as irrefutable truths is the worst offense a paper that influences public opinion can commit. Printing one side of any story is bad reporting,too many recent articles should suggest to journalist that the criminal justice system is flawed and has been for years. The almost weekly parade of exonerations, should give reporters pause for thought. An article today in the Marshall Project by Law Professor Samuel R Gross who edits the National Registry of Exoneration , is a heart wrenching informative piece. I suggest reading it and Judge Alex Kosinski ( Ninth Circuit) suggestions on improving the system. During the Traffic Court case similar accusations were made by public officials, justices ,connected political appointees, most were a deliberate, calculated political payback. Confidential information that was stated to be private was made public to incriminate by the judges The seekers of justice never made an appearance at either trial, men and women that work for the US government were there offering accusations, flawed evidence and distorted facts. Both the Traffic Court trial and the Police Narcotics trial should never have made it to the federal level, both organizations have review boards that could have handled the accusations internally. Having the feds try the case raises the stakes for the defendants, bankrupting and humiliating them and their families. Reporting fairly and accurately on issues that would jeopardize a persons liberty and reputation needs to be taken more seriously,the stroke of a pen shatters lives forever. Interestingly enough it astounds me that a politician would ever offer an opinion on another persons innocence or guilt as its open season on politicians in this country, you would think they would teach the feds a lesson and not comment . They have a helluva case. Best of luck gentlemen. Philly mag and Philly Voice gave Big Trial credit. The Inky of course did not. But they’re all singing the same tune. Ralph, I prepared a long response to your article here and the articles written today regarding the lawsuit filed by the innocent officers. This response contains factual information that all of your readers and those reading Philly.com would want to hear regarding the criminal conduct of those being sued by these officers. It explains in great detail what TRULY took place and will shock the conscience of the law abiding citizens of this city. However, your site only allows for limited comments. Therefore, I could not publish all the truths that need to be told here. Do it in segments, number them. Send it to me at ralph@bigtrial.net and I will see what I can do. did walker get his sentence today? 43 months and some amazing comments by the judge. I'm writing the story now. 43 months with time served means out in 5 months. And yes...some amazing comments from the judge. Mayor Nutter should have used same description for Fattah with news of his indictment as he did these cops. Instead he tells us how said it all is. Anonymous 11:53-- you're 100% correct! Couldn't of said it any better!